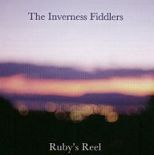 INVERNESS FIDDLERS’ SOCIETY has always maintained a standard of musical selection and playing which has given it a high standing in the fiddle world. The repertoire includes fiddle classics, pipe music, contemporary tunes in the traditional mode, and music from related cultures. If you have an mp3 player such as iTunes, QuickTime, Windows Media Player or Winamp, click the name of the tune to play it.